Recently I had the opportunity to attend the early days of the annual World Mobile Congress in Barcelona. This was at the invitation of the Chinese mobile technology company Huawei. 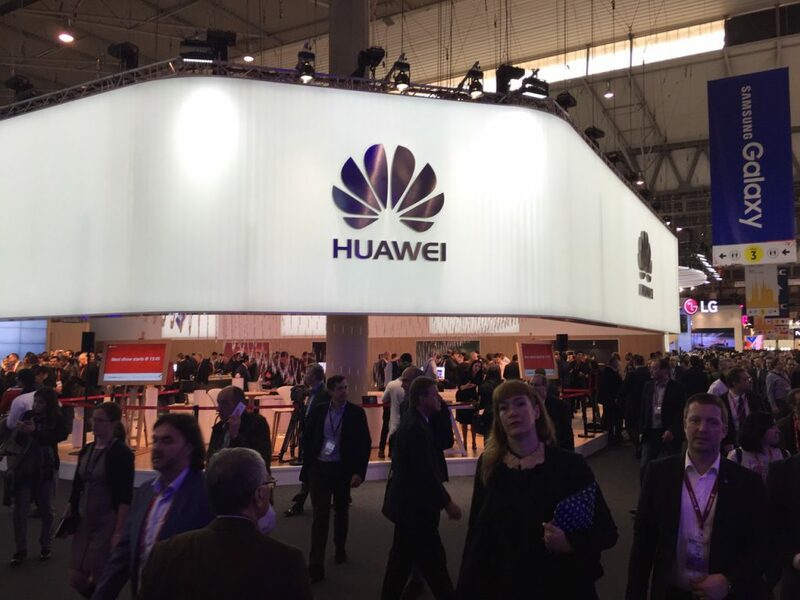 Before the 2016 World Mobile Congress gets too far in the rear view mirror, I want to share five key observations from the Congress and the visit with Huawei. I had not had the opportunity to attend this event in the past, and was eager to see what this, one of the largest annual conferences and shows with 95,000 attendees, was all about. It was fascinating to experience first hand the level of excitement that is still out there about continuing development of mobile connectivity. I have in the past suggested that we are, figuratively, evolving from homosapiens to phonosapiens. The younger people in our group seemed especially enthusiastic about each new phone or VR application that we saw. My take now after having seen this first hand is that there is something deeper going in the global enthusiasm for mobile connectivity, deeper than just desiring new ways to do business. I think it has something to do with a human need to connect, which it has been suggested is as much a basic human need as that for water or food. Among the most interesting sessions were those previewing the coming the 5G network, which may roll out as soon as 2020 or so. Between here and there, we learned, is the 4.5G network. These are primarily a matter of installing new network technology. We learned from Huawei that recent tests of even 4.5G have demonstrated speeds as fast as 64 gigabytes a second and 4.5G is aimed to exceed 1 gig in all cases. How I wish. Recently I did a speed test on our own AT&T 4G network here where I live in Seattle. Admittedly the speed at our home is not the best due to poor cell coverage, but the actual speed here, supposedly 4G, is about 2mb a second. What do we need the greater speed for? Primarily for the amazing increase in video streaming traffic on the Internet and thus on the cell network, along with the anticipated increase in virtual reality traffic. Regions that fall behind in this speed race will be at a disadvantage. Most major players had some kind of VR display, many of them quite extensive such as the accompanying video of the VR demo at Samsung. Having been a part of one of the very early Virtual Reality start-ups in the 1990’s, called World Design, you can count me as a bit of skeptic in terms of how widely VR will be adopted for regular use. As a niche for gaming, entertainment and certain industrial or business applications VR has great promise. So we will see how it plays out, but the excitement seemed quite high. We have heard a lot in recent years about the dearth of women in technology fields and companies. The show floor was an amazing example of this, as I would estimate that less than 5% of the 95,000 people wandering the show floors were women. I really don’t quite get this. Globally Huawei is pretty well known, especially in the industry as a provider of the network infrastructure. They have an ambition for a greater presence in the U.S. market, now only 1% of their global sales. They have very impressive infrastructure products, and their Android phones are respected and popular globally. I was especially taken by the presentation we heard about their emphasis on safe cities as a pathway to smarter cities – which means building infrastructure to better enable emergency responders to communicate – and their emphasis on tech for instant video sharing everywhere. Again thanks to Huawei for sponsoring the trip for me.